We are not like dogs who only see black and white, us humans can see many shades of the colour spectrum all around us. Life without colour would be dreadfully dull, for there would be nothing visually appealing about the word. Take into example a beautiful bright red rose: Imagine the colour suddenly draining the flower leaving it completely lifeless, the rose would no longer be deemed attractive. The same is to be sad within the world of advertising. All around us the advertising world is using the colour spectrum to attract viewers. A simple black and white ad will not be deemed as effective when compared to a coloured one. 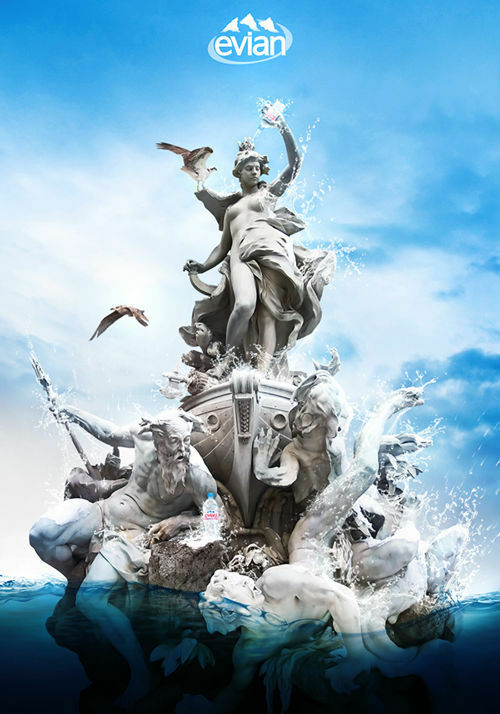 Take a look at the examples below, these ads are all examples of effective use of colour when advertising. 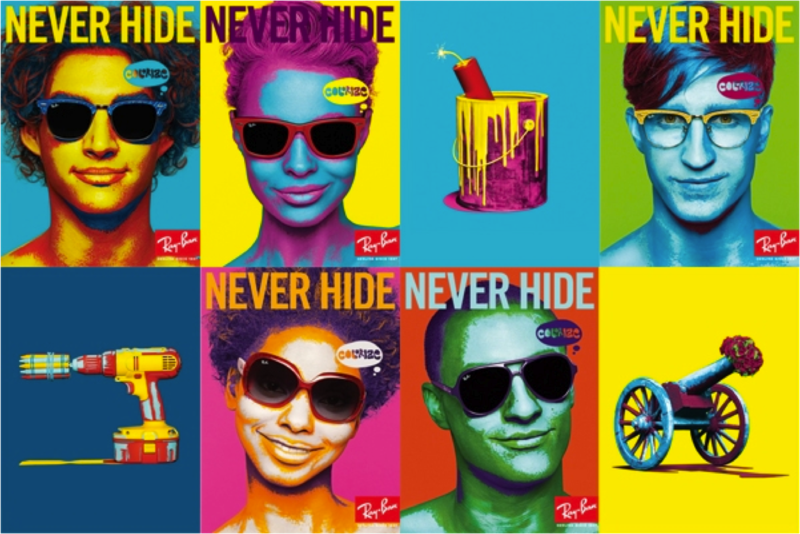 Ray Bans: Never Hide This ad takes note from Andy Warhol’s use of Pop Art art and creates an eye catching image. With the use of bright colours, Rayban actively attracts the viewer to such a vibrant ad. While the use of pop art might seem unconventional, Rayban’s takes a well known art concept and places different pops of colour per square. This not only creates a new take on a well known style, but creates an effective statement about never hiding, and always showing your true colours. Colour can be used to evoke an emotional response from the viewer, take into account the recent Salvation Army ads in which have been placed around Toronto. 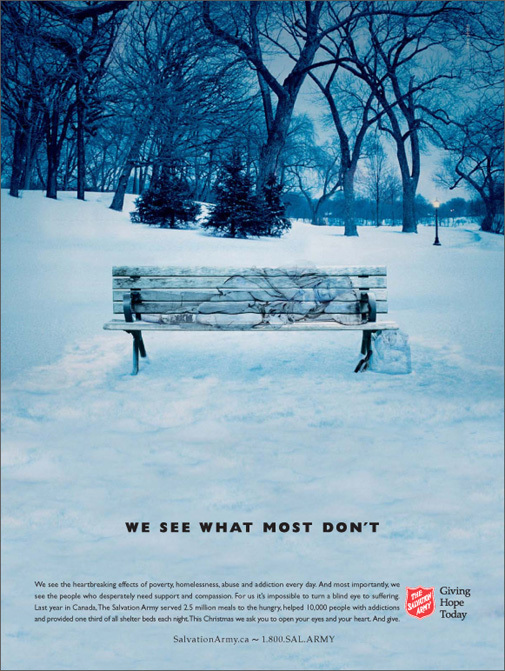 The ads feature a silhouette of man lying down upon a snowy bench. The heading reading “we see what most don’t” is a power statement to make. The advertisers used a ‘cool’ colour scheme consisting of a blue palette. By making this artistic choice, the poster is immediately deemed dreary and saddening due to the deep palette associated with winter time. Through the use of colour, the advertisers can affect the viewers emotional status and evoke certain feelings upon a first glance. Emotional response is the key to sales. And through the use of colour, contrast, and saturation, advertisers can attract viewers at a first glance. Below are some other fantastic ads! Previous Post The Hidden Identities. Next Post Technological Growth & You.